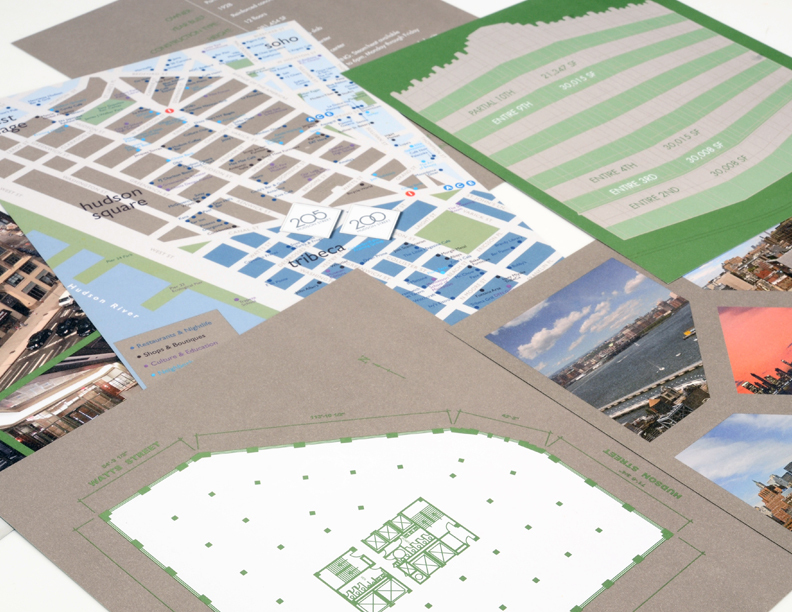 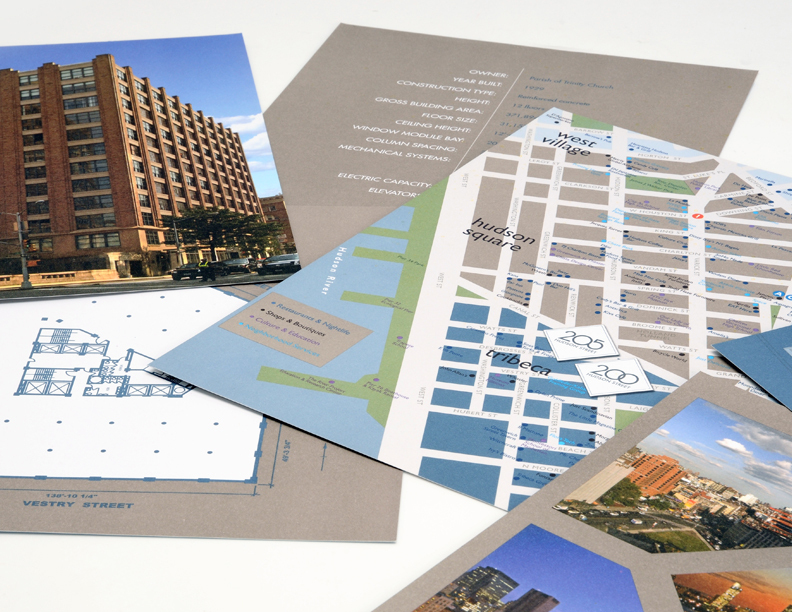 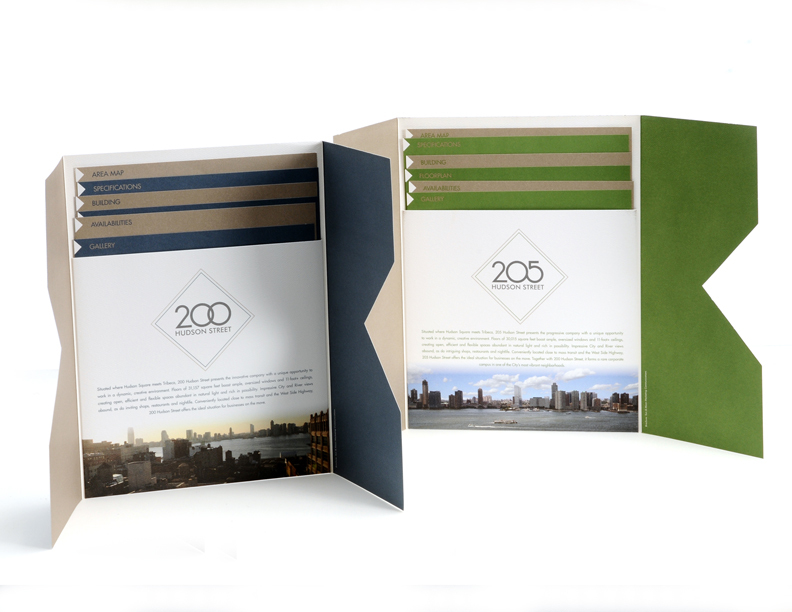 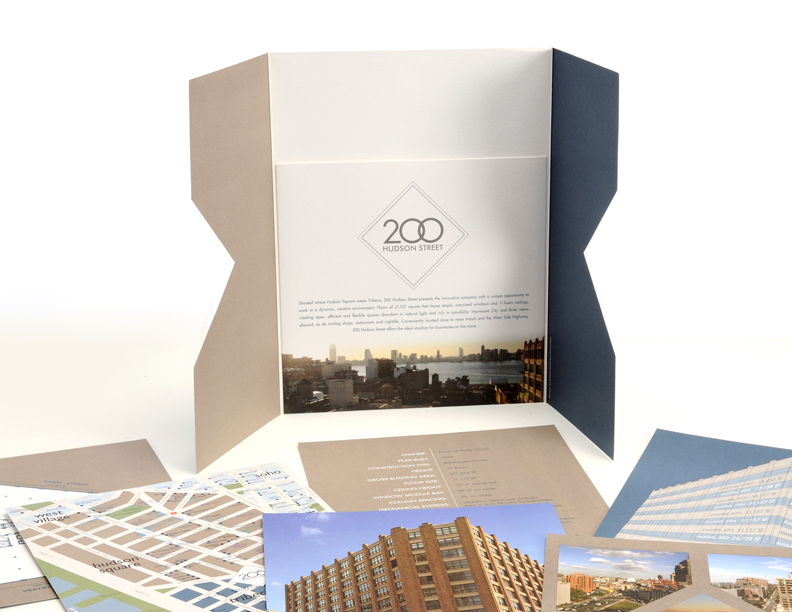 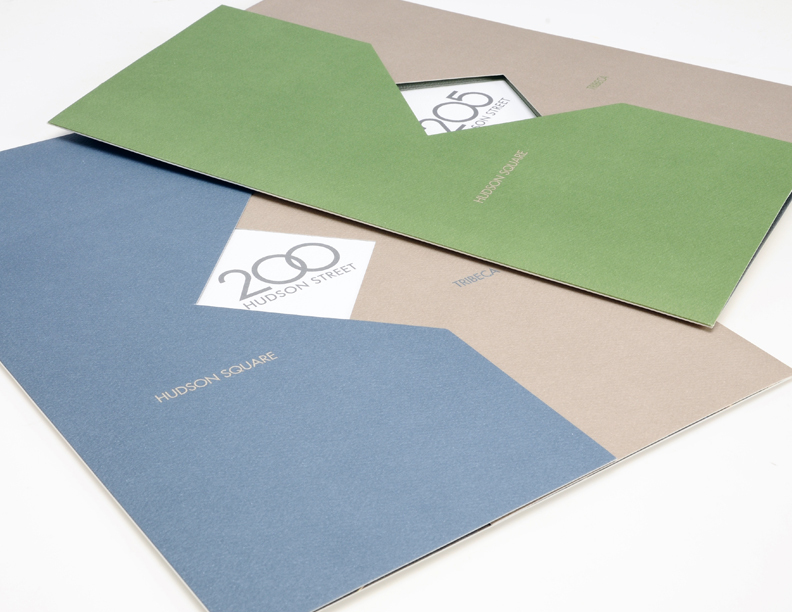 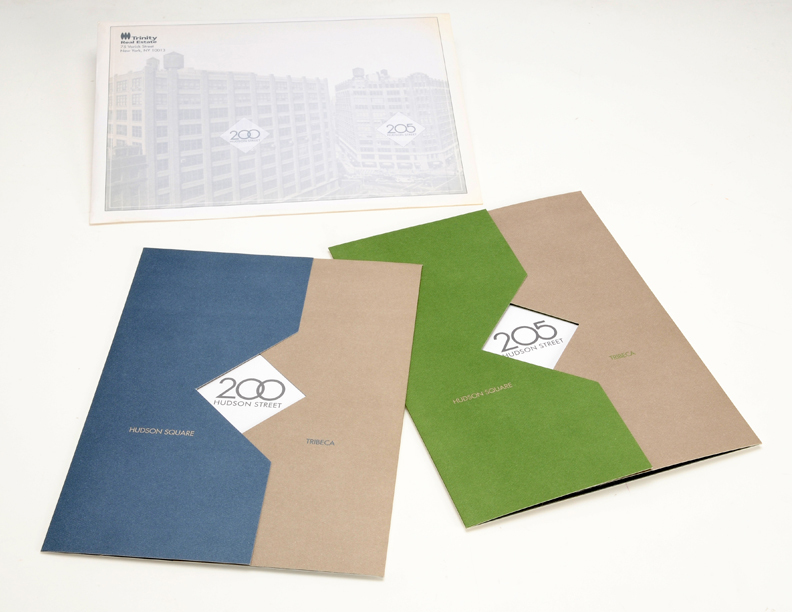 This fact pack set include two separate information folders for 200 & 205 Hudson Street buildings in Tribeca. 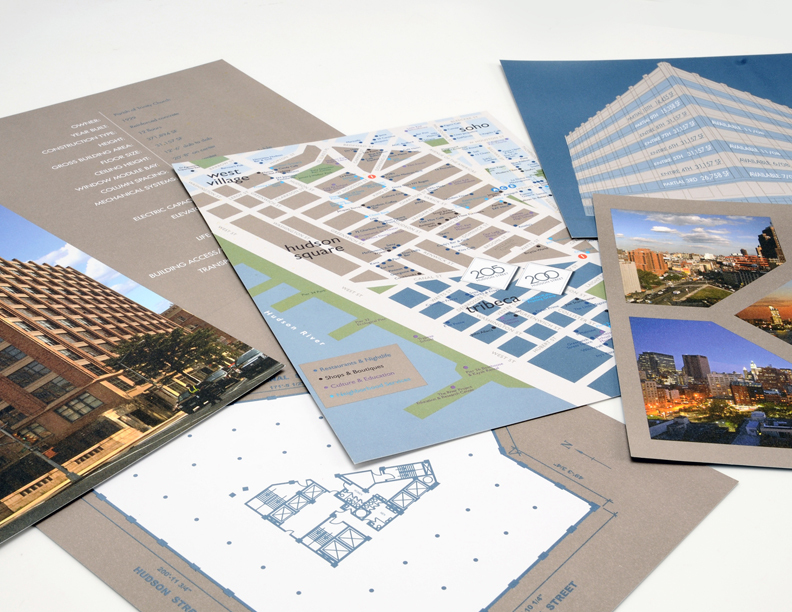 Both sets include a die cut map, spec sheet, stacking plan, building photo, floorplan, availabilities and gallery of views of each respective building. 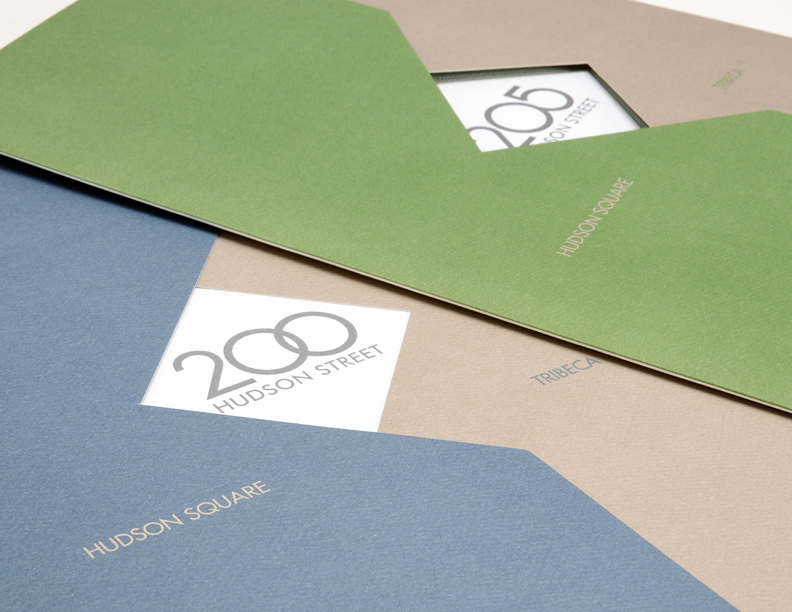 They both share a mailing envelope with the option of mailed together or separate.